Hortobagy er Ungarns mest kjente nasjonalpark, som dekker store våtmarksområder og Puzta (steppe). Området danner en vestlig utpost av det store asiatiske steppeområdet, og huser dermed mange spesielle arter, man finner få andre steder i Europa. 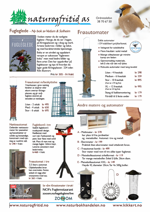 The Nature Guide to Hortobagy har relasjoner til. The Hortobagy is Hungary's most famous National Park, and covers a large area of marshlands and Puszta, the Hungarian version of the steppes. Hortobagy is also Hungary´s first National Park and is one of the westernmost protrusions of the essentially central Asian steppe ecosystem, thereby holding the promise of exotic, eastern species of plants and animals. The visitor to Hortobagy is invariably struck by the vast, level plain and, on closer inspection, its complex mosaic of different types of grassland, ranging from shallow reed and sedge marshes to herb-rich 'tall-grass' steppes. The dominating grassland, however, is a more sparse type, one that thrives on the alkaline (saline) soils that characterise this region. This vegetation is thin and species poor, but the plants that can be found here are almost without exception highly specialised rarities. In sharp contrast, the rivers in the area are lushly forested ribbons in the largely treeless region. In particular the beautiful River Tisza is flanked by extensive willow swamps. The Hortobagy is first and foremost a bird sanctuary. The vast marshes - many of which are converted to huge, reed-fringed fishponds- harbour hundreds of egrets, herons, spoonbills, crakes, pygmy cormorants and other marshland species, most of which are fairly easy to observe. The steppes are home to several typical bird species, like rollers, red-footed falcons, sakers and the great bustard, a massive bird with the apt, if exaggerated, nickname "the Hungarian ostrich". The steppes are also home to the engaging suslik; a small mammal with an uncanny resemblance to the better known American 'prairie dog'. The dense floodforests are beautiful wild landscapes, where night herons and black storks breed. The Hortobagy puszta is more than a nature reserve. It is also the archetype of Hungarian traditional country life. Shepherds still roam the wavy grass swards, as they have done for centuries. Their herds largely consist of the traditional longhorn cows and bulls and the typical screw-horned Racka sheep that dominated the Hungarian livestock for centuries. The agricultural revolution of the 20th century has dramatically changed the face of the Hungarian countryside, but the Hortobagy, with its steppes, traditional wells, farms and shepherds, is a reminder of an older Hungary. The Crossbill Guide to the Hortobagy and Tisza River (2007) introduces you to this fascinating region and provides you with itineraries allowing you to discover the area at your own pace. A trip to the Hortobagy can easily be combined with a visit to the Bükk National park, the Zemplen hills or the Karst region of Aggtelek (in Hungary) and Slovensky Kras (just over the border in Slovakia). Alternatively, you could also travel south to the puszta reserves of Köros Maros and Kiskunság or east, into Transylvania (Romania).